Major Australian retail company Coles has selected Witron to deliver two new ambient distribution centres as part of a supply chain modernisation program that will improve availability for customers while lowering costs. 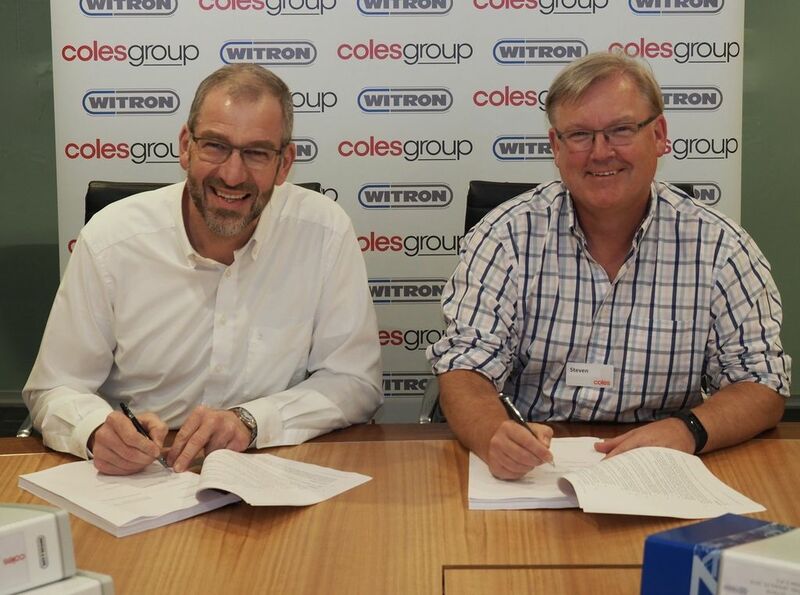 Coles and Witron have now executed definitive contracts for Witron to develop two new automated ambient distribution centres in the states of Queensland and New South Wales. In seeking a partner for the project, Coles had regard to Witron’s track record of delivering 54 similar projects with global retailers. Coles operates more than 2,500 retail outlets across Australia. The two distribution centres will respectively supply a full range of ambient grocery lines to more than 240 Coles supermarkets in New South Wales and more than 170 supermarkets in Queensland. From each of the two approximately 70,000 square metre logistics locations, all stores are supplied with a full range of dry goods. “The modernisation of our supply chain will provide a safer working environment for our team members, lower supply chain costs, enhance our overall business competitiveness and make life easier for our customers by having the right offer in the right location,” said Coles CEO Steven Cain.